I’ve spent some time over the last few weeks playing with the Lenovo IdeaTab Lynx K3011 (an awfully long name that I’ll shorten to Lynx for this review). 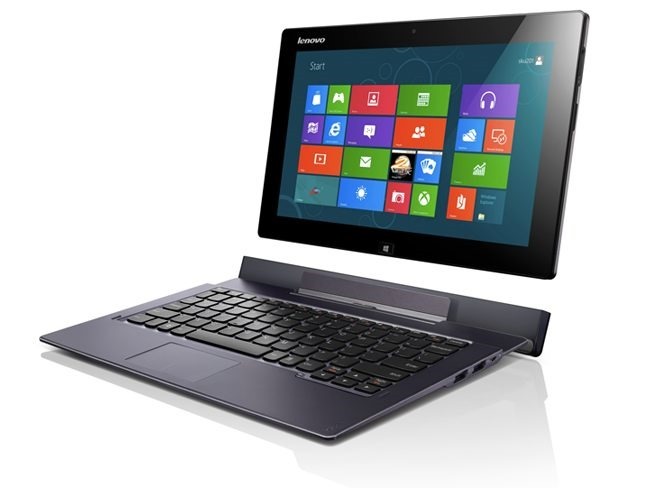 I gave some thoughts on Windows 8 itself over here, and so I’ll focus on the Lynx in this post. Short version: I wanted to love the tablet convertible, but a few too many flaws held it back. I bought it at Costco for a very reasonable price of $499.99 for the tablet and keyboard combo, and so I was hoping it could serve as a (relatively) low-cost way to dip my fingers in the Windows 8 tablet/notebook space. Unfortunately, it’ll be going back soon, and I’ll be waiting for something better (perhaps, the Samsung Ativ Q). While the tablet itself felt durable enough, the materials seemed of lesser quality. There was some creaking to be heard when the tablet was held in one hand, and generally the tablet gave the impression that it was worth just about what Costco was selling it for. The keyboard dock was bit of a different story. It felt almost cheap, with a ton of flex in the middle of the keyboard and a constant “snapping” sound when held at either of the front corners, as if something was being re-seated back into place. The hinge connection mechanism didn’t earn much confidence, and indeed by the time I was done using it the release button needed some prodding to disengage the locks. In fact, the button was starting to stick, and took some coaxing to pop up so that it could be used. While the Atom processor was quick enough for general productivity and casual gaming (e.g., modern UI games), 2GB of RAM was insufficient for the kind of use one expects from a productivity “notebook.” I received numerous out-of-memory errors with only a few apps open, and while I could still get work done in that state, I was left wondering when the thing was going to crash and lose my work. I think 4GB is the absolute minimum for a machine that’s capable of running the full version of Office 2013, and 8GB is even better. As someone who does quite a bit of writing, I’m pretty partial to keyboard quality. I bought the MacBook Air in part because of its superior keyboard among “ultrabook” machines (sorry, Intel, but I’m using that term generically here), and have rejected machines outright when their keyboards were less than acceptable. Unfortunately, the Lynx falls into the latter category. It’s not that the keyboard feels particularly bad (outside of the flexing, of course). This is Lenovo, after all. In fact, the keyboard felt fine, with decent enough travel and sufficient bounce. The problem was that the system overall didn’t keep up with my typing. Every so often (say, every 10 words or so), letters would get skipped and I’d have to go back and correct a couple of words. For someone who types accurately at about 80wpm, this is more of a nuisance—it’s a deal breaker. I’m not sure if the problem was mechanical, electrical, or in software (and could be fixed by a driver update). All I do know is that even if everything else was perfect about the machine, the keyboard would be enough to deny my recommendation. Perhaps I’m spoiled by the excellent screens on the Nexus 10 and iPad 3, but 1366X768 is insufficient for a device meant to be used as a tablet. Heck, in my opinion, it’s insufficient for 13” notebooks (which are viewed at a much greater distance). While brightness, viewing angles, and colors were fine on the Lynx, text was pixellated and/or over-smoothed by Windows’ Cleartype. Things were a little better in modern UI apps, but even there it was rough to move from the incredibly smooth text on the Nexus 10 and iPad 3 to the Lynx. Overall, I do find it difficult to recommend the Lynx, even with its keyboard dock at around $500. 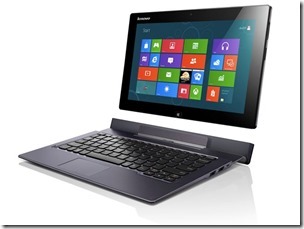 Some of my concerns, such as the screen resolution and performance, apply to many Windows 8 (and Windows RT) tablets out there, while some others probably have better keyboards and build quality. Battery life was acceptable when the tablet was docked, and as mentioned elsewhere I liked the Windows 8 experience overall, but Lenovo has some work to do if they want to catch up with, say, ASUS in the docking convertible segment.